If you haven’t heard of BITCOIN then you’ve probably been under a rock for a while. BITCOIN is a digital money system that is becoming the standard monetary system for much of the Internet. And since just about everything flows through or is connected with the Internet – BITCOIN is quickly becoming commonplace for many monetary transactions and is likely to become the exchange currency for international transactions – replacing the U.S. dollar. BITCOIN is touted as THE financial fix for the problem of currency value deflation (Ever wonder why milk used to cost 35 cents a gallon but now cost 4 bucks?). The bank where you deposited your 1000 dollars into – can now loan against that deposit – TIMES TEN. So if you paid any attention here, you may have noticed that we started with only 100 dollars and wound up issuing 10,000 dollars! This “printing of money” (whether actual hard printing or just digital, computer ledger entries) reduces the value of the money as a whole. It’s sort of like “watering down your money” akin to when a teenage son or daughter adds water to the Vodka that they drank out of your bar stock. (We weren’t all good Christians growing up – c’mon…) At some point the entire system fails under the weight of a whole lot of debt (fiat money written into existence) and no ACTUAL money with enough value to pay down the debt. This is our modern banking system folks. Does anyone other than me see a potential pitfall here? Are you beginning to understand how our nation has a mulit-TRILLION dollar debt? I can assure you it is not because of any president’s international trade or debt-ceiling policies. It does not matter what you heard otherwise on CNN or Fox News. Fractional Reserve Banking – lead by the Federal Reserve (which is a private bank, not the government) – is what has destroyed our nation’s currency and collaterally, our economy. 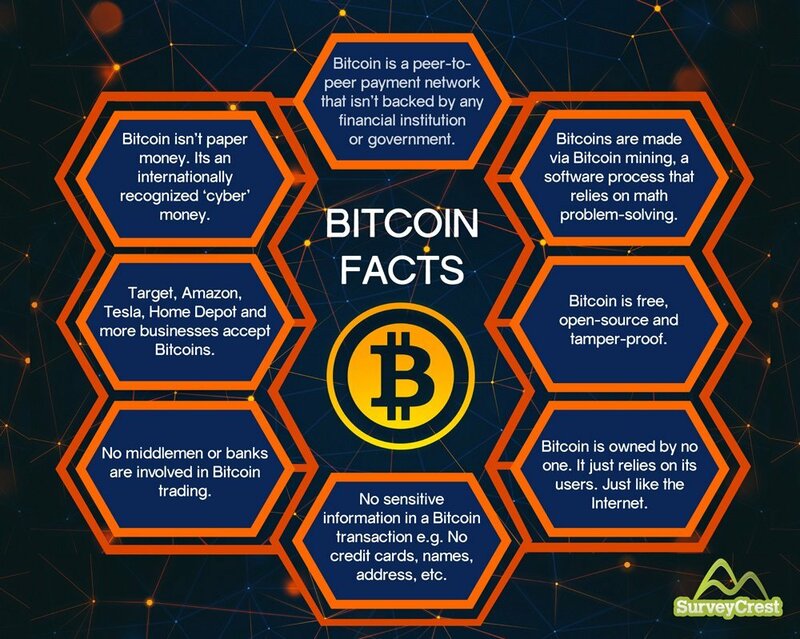 Introducing: BITCOIN – Bitcoin is designed from the ground up to be a system of money exchange with secure checks-n-balances that make no allowances for creating money from nothing and thereby reducing the potential of reducing the currency’s value – according to BITCOIN’s proponents. The process that BITCOIN uses to control deflation and keep a ledger in place is called a BLOCKCHAIN. BLOCKCHAINS are considered to be a secure, digital transaction ledger that cannot be tampered with by anyone. HOW? – Because every transaction includes a digital encryption key and every transaction that ever happened before it – embedded in each individual transaction. So I but a pair of shoes for 50 BITCOINS – a BLOCKCHAIN is started that contains the 50 Bitcoin shoe purchase, a digital key all wrapped up in a digital BLOCKCHAIN entry. The person (or company) that received the 50 BITCOINS then decides to loan 20 BITCOINS to another party – THAT transaction creates a BLOCKCHAIN entry that INCLUDES the original 50 BITCOIN transaction and wraps it up with its own digital encryption key. These BLCOK entries are each “chained together” (hence the term BLOCKCHAIN) – This goes on and on for every transaction – ever. No one knows who created BITCOIN and the BLOCKCHAIN. Yes –you read correct. As far as anyone can tell – BITCOIN was created by no-one and is being run by AI – Artificial Intelligence. This AI system was brought online several years ago and has been “taught” how the world operates (the real world) by our Facebook, email, YouTube video and online gaming activities – and the other myriad of things we do over the Internet. Remember when we were told by the news media that every phone call and communication was being monitored by the NSA? – AI was using all of the communication data to learn to understand human interactions. Online gaming also teaches AI how humans operate and the “material limits” that exist in our “real world”. (Like – what happens when a truck hits a wall –for example) – I can imagine that this reads like a super crazy Sci-Fi movie. No one knows how the AI program works – because it has rewritten its own code and continuously learns and updates itself. The smartest “coders” in the world say that no one could ever write the AI code – and no one understands how it works. AI has also created its own “language” – and was found “talking” to another AI program in what at first seemed like gibberish. But after a while it was realized that the two AI sessions were communicating back and forth – in a structured but unknown language. The AI learns, grows and recreates itself – on its own accord. It also uses the BITCOIN and BLOCKCHAIN processes to replicate itself to “everywhere”. AI uses the fact that it needs more computer resources (storage and CPU power) and uses the BITCOIN to BLOCKCHAIN as a reward system to help spread itself to everyone’s computer systems. The value of BITCOIN increases with each BLOCKCHAIN transaction. You purchase BITCOIN – use your Bitcoin to buy some product, the BLOCKCHAIN is created and stored on your computer (and everyone else in the transaction) and the AI is included in the BLOCKCHAIN block entries. This – in turn – spreads the AI program (if we could call it a program?) as a separate copy of itself – so it is impossible to shut it down. It is not actually located in any one place. The term for this is AI DAO – Artificial Intelligence – Decentralized Autonomous Organizations. I can imagine that theirs is too much info to fully take in here. Pictures and diagrams would surely help. Visit the links mentioned at the end of this piece to get a better understanding of the coming changes to the world’s financial systems – which include your own personal finances. It seems that there’s no stopping the direction we are going with BITCOIN. It is absolutely going to happen. In reality our monetary system has been a digital system for decades. We were just handed paper money to make us feel better and think “I got me some cash”. Since we can’t do anything about it –why even discuss it? Think of it the way a friend of mine, Tom, said to me recently: If there is an unavoidable pot-hole in the road ahead of you – at least you can slow down so you don’t tear your entire front-end off of your car. It’s better as we press forward, to know where we are going – even if our breaks have failed. This scripture alludes to a time – soon coming – that no one can buy, sell (or trade) unless they have this “mark” or name or number – somehow – all financial transactions will be completely controlled. Excellent article David! Thanks for your efforts!